Math 142 continues the study of calculus where Math 141 left off. Topics include techniques and applications of integration, improper integrals, calculus using polar coordinates, sequences and series, Taylor polynomials, and differential equations. To provide a thorough introduction to methods of integration, infinite sequences and series. To provide a thorough introduction to applications of integration, especially in Physics. To provide an introduction to differential equations, mathematical modeling and numerical issues. Deborah Hughes-Hallett, Andrew Gleason, William McCallum, et al. You will need a WileyPLUS access code! This comes with new textbooks in the bookstore. If you have a code from Math 141, it will still work. You can also buy a code directly from Wiley. An approximate schedule for the semester may be found here. The following videos give brief explanations of topics related to the course. Come to class! This means every day! Missing Monday's class will make it much harder to follow Tuesday's lecture, which will make it harder to follow Thursday's lecture, and so on...before you know it, things may have snowballed out of control. Do the homework right away! Working through the homework immediately after the corresponding lecture will help solidify your comprehension of the material -- which will make it much easier to follow the next lecture. Visit your instructor's office hours! You don't need to make an appointment; just stop by and ask questions. They're there to help! Find or start a study group! Many students find studying in a group more effective than studying alone. The AEC also provides assistance for students who would like group tutoring; see below for details. This semester, the math department is providing free walk-in tutoring every week, Monday through Thursday, in Lippitt 206 from 12-6 PM. Please take advantage of this! The Academic Enhancement Center (AEC) also provides several free resources for students, including informal individual walk-in tutoring, weekly group tutoring, and general academic coaching. For more information on what the AEC can do for you, please check out their website. For students who would like occasional individual help, but who can't make it to their instructor's office hours, the AEC employs trained tutors who will be glad to explain course material and answer questions. Walk-in tutoring is available on the 4th floor of Roosevelt Hall from 2-7 PM, Monday-Thursday. Students seeking something more structured may be interested in the AEC's weekly tutoring groups. Tutoring groups are made up of 2-6 students and a trained tutor, who will meet on a weekly basis to discuss course material. This is a more structured environment than walk-in tutoring, and attendance is expected. Students who'd like to start a tutoring group should check out the AEC's website for more information. Small groups of students may also make one-time appointments to meet with AEC tutors; refer to the AEC website for details. The course grade will be based on online homework, section-specific coursework, three midterm exams, and a final exam. Letter grade cutoffs may be lowered if deemed necessary (although this is not likely and should not be expected). Homework for this course will be submitted through the online system WileyPLUS. WileyPLUS requires a registration code, which comes with each new copy of the textbook. If you wish to purchase a used textbook, you may also buy a registration key directly from Wiley. 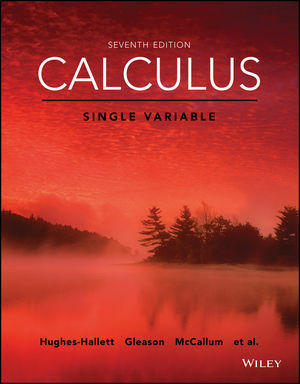 If you purchased the textbook last semester for use in Math 141, your registration key should still work for Math 142. You are responsible for registering for WileyPLUS in a timely fashion. Please work through each homework assignment as soon as possible after the relevant lecture! If you wait until the last minute, you risk running into technical problems that may keep you from finishing on time. In addition, working through the homework immediately will reinforce your understanding of the material and is a great way to study. You won't save any time by putting it off, so you might as well do it right away! Late homework submissions will be accepted for two days after the deadline at a 20% penalty and through the end of the semester at a 50% penalty. You must bring your URI Photo ID with you to each exam, and you must show it to a proctor as you hand in your exam. You may not take any books, bags, papers, or anything else to your seat. If you bring any of these items with you to the exam room, you must leave them at the front of the room. Proctors will not answer any questions regarding the content of the exam. In particular, you are expected to know and remember all relevant definitions and terminology. During the exam, you may not leave the room for any reason. Please remember to use the bathroom before the exam! No calculators of any kind may be used on exams. No cell phones, MP3 players, or any electronic devices of any kind may be used or even accessible to you at any time during the exam. Any student found with any electronic device for any reason during the exam will be considered to be cheating. Makeup exams may be given for students who miss an exam due to an emergency or to an approved scheduling conflict (see below). Makeup exams must be scheduled after the original exam and will be administered as soon as is reasonably feasible. If you miss any exam due to illness or emergency, you must contact your instructor within 24 hours. If you know that you will need to miss an evaluation due to religious observances or University-sanctioned events (including another class's exam), then you must contact your instructor at least 48 hours before the relevant evaluation. In all cases, absences must be documented. Failure to provide documentation for an absence will result in a grade of zero for the exam. If you require academic accommodations and have documentation from Disability Services (874-2098), please get in touch with your instructor as soon as possible. To provide an introduction to differential equations, mathematical modeling, and numerical issues through the use of technology. Integration: Choose suitable techniques to analyze and compute indefinite and definite integrals. Techniques include substitution, integration by parts, partial fractions and trigonometric substitution. Approximate simple definite integrals using numerical integration techniques such as the midpoint and trapezoidal rules and Simpson's rule. Determine the convergence of standard improper integrals such as p-integrals and use these in comparison tests to determine the convergence or divergence of more complex improper integrals. Applications of Integration: Set up and evaluate integrals to compute the following quantities: areas and volumes by cross-sections including volumes of revolution (disc and washer methods), arc length (Cartesian and polar coordinates), area in polar coordinates, mass and center of mass of an object given its density, work. In many of these examples, it is important that the student check the units of their answer and whether the answer is physically meaningful. Sequences and Series: Find a formula for the general term of a simple sequence given the first few terms. Determine whether a sequence converges or diverges. Recognize a geometric series and calculate the sum or show it diverges as appropriate. Analyze a series to determine whether or not it converges using the following tests: divergence test, comparison and limit comparison tests, ratio test, alternating series test. Apply these tests to determine whether a series is absolutely convergent. Students must also determine which of these tests and techniques is most appropriate for analyzing a given series. Power Series and Taylor Series: Calculate a Taylor polynomial for a desired function. Calculate a Taylor series and analyze the series to determine the radius of convergence. Apply the Lagrange Error Bound to bound the error in a Taylor polynomial approximation. Differential Equations and Modeling: Verify that a function is a solution of an ordinary differential equation. Draw a slope field for a differential equation and distinguish between different differential equations based on pictures of their slope fields. Use Euler�s method to compute simple approximate solutions to differential equations. Solve simple first-order differential equations using the method of separation of variables. Use differential equations to model exponential growth and decay.